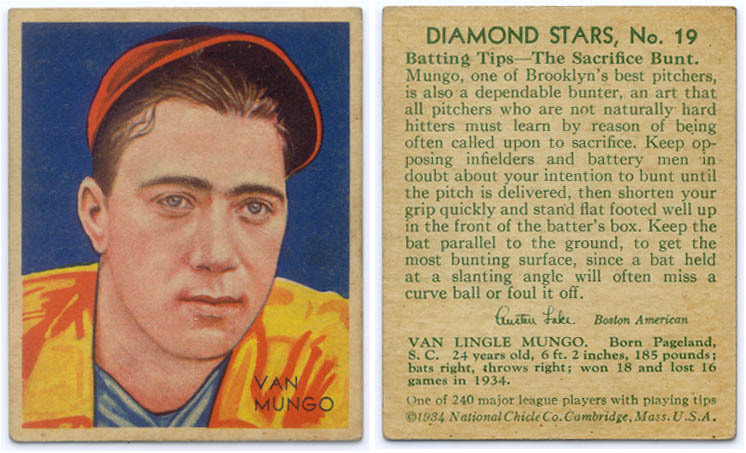 Number 5 Type Collection: Van Lingle Mungo in cards? Here's the song with superimposed player pictures. Some guys mentioned served as "fill-ins" during WWII--including the aforementioned Bergamo--but even Augie picked up two TCMA retrospective cards in 1975 and 1983. Anyone seen a video or blog cover the song (i.e., its players) in actual cards? For the record, these #5s profilees also appear in Frishberg's tune.